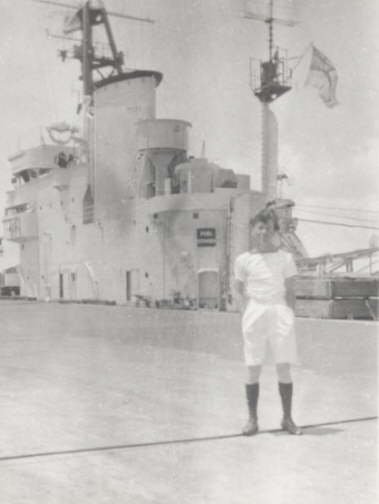 Peter Longhurst (Signals) aboard HMS. Vengeance. 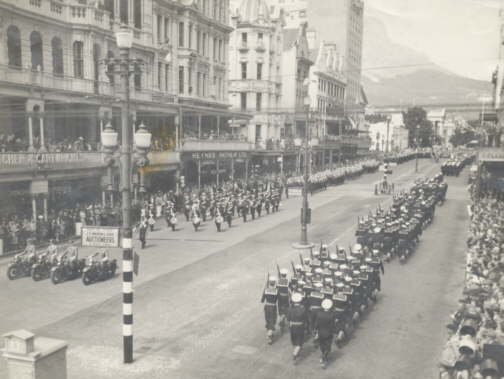 Trafalgar Day Parade in Durban, November 1948. 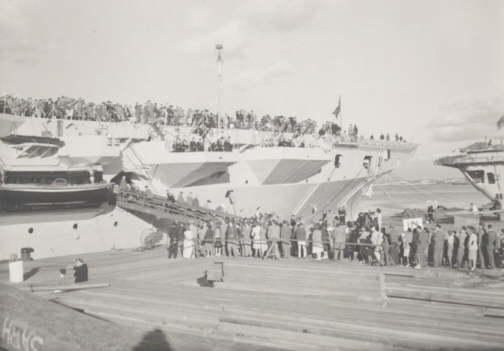 Ship's Open Day to visitors in Cape Town, November 1948. 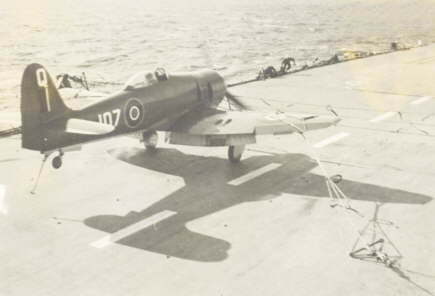 Sea Fury landing on HMS. Vengeance. 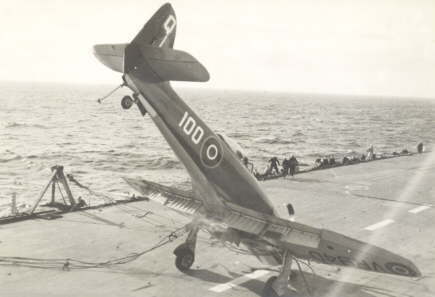 A Sea Fury (Q/100 - VR940) becomes another victim of the barrier. 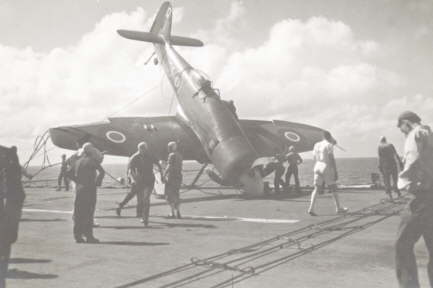 Sea Fury (Q/108) looses his port side undercarriage on landing. 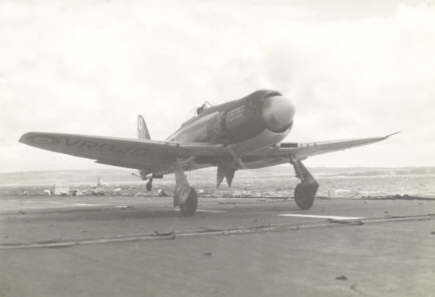 Sea Fury (Q/107) meets the first barrier. 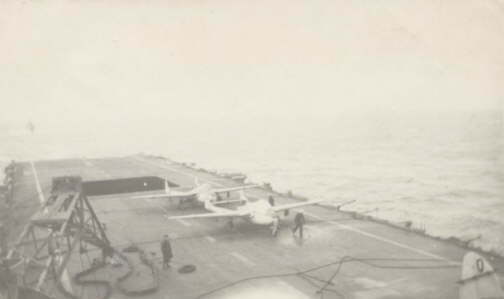 Sea Fury (Q/107) then nose dives through the barrier. 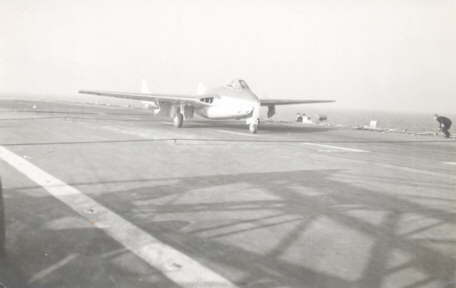 Sea Vampires on the flight deck of HMS. Vengeance. 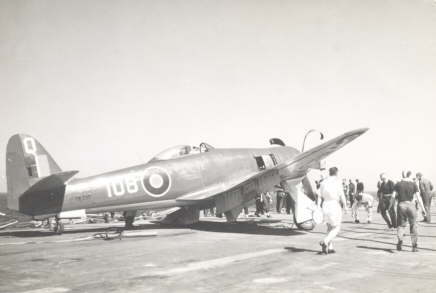 A Sea Vampire on the deck of HMS. Vengeance. 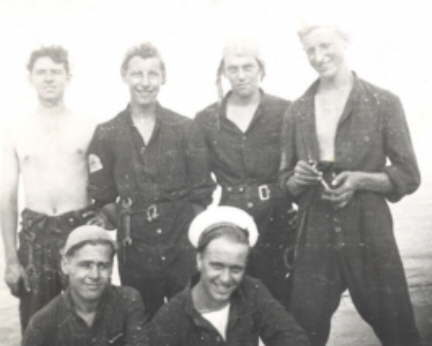 Air Mechanics aboard HMS. Vengeance. Names unknown.